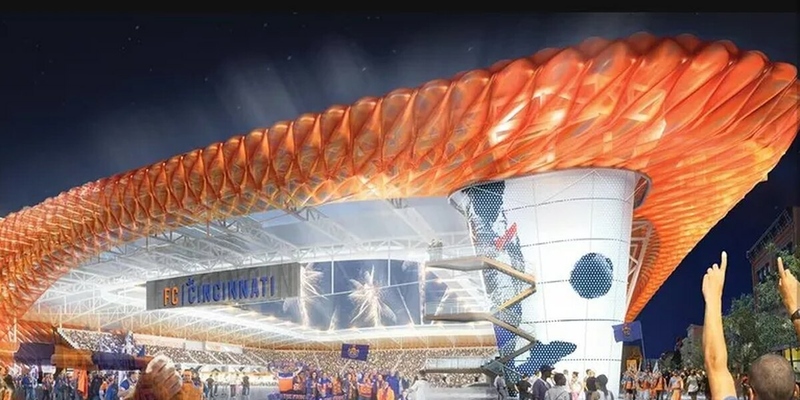 CINCINNATI, OH (FOX19) - Cincinnati City Council voted on Monday to approve a proposed funding plan for a 21,000-seat FC Cincinnati stadium in the West End. Mayor John Cranley called for the meeting. "I wanted to see a city that put money back into the inner city, back into the urban core. That's a good thing," he said. Before the council vote, community groups representing the West End signed a Community Benefits Agreement, but not everyone is happy to see a stadium in their neighborhood. "These corporate gangsters who come in and take over the community. That's what you want. We have to do better," community activist Kelli Prather said. The Community Benefits Agreement not only invests FCC money into infrastructure, scholarships and youth sports programs. but it sets up a 15 member Community Advisory Council. "We truly have every intention of being good neighbors and having economic inclusion and jobs and opportunity in a neighborhood that needs it," Jeff Berding said. MLS confirms to FOX19 Now that a discussion regarding expansion is on Tuesday's agenda for the MLS Board of Governors meeting in Los Angeles. That meeting is scheduled for 10:30 a.m. to 7 p.m. Eastern Time. An MLS spokesperson notes that a discussion regarding expansion has been on the agenda for every MLS Board of Governors meeting since 2004. The Board meets three times annually in person: Tuesday, the MLS All-Star Game in August, and also in December. MLS has twice delayed awarding the next round of franchises. FC Cincinnati is in competition with Sacramento and Detroit. Nashville received a franchise in December. If MLS awards a franchise to FC Cincinnati, the city would spend $33.8 million for roads and other infrastructure for the stadium. Funds would come from a variety of sources including the Downtown/Over-the-Rhine East TIF district, the sale of the Blue Ash Airport, the city's portion of the Hamilton County hotel tax and the city's capital fund.